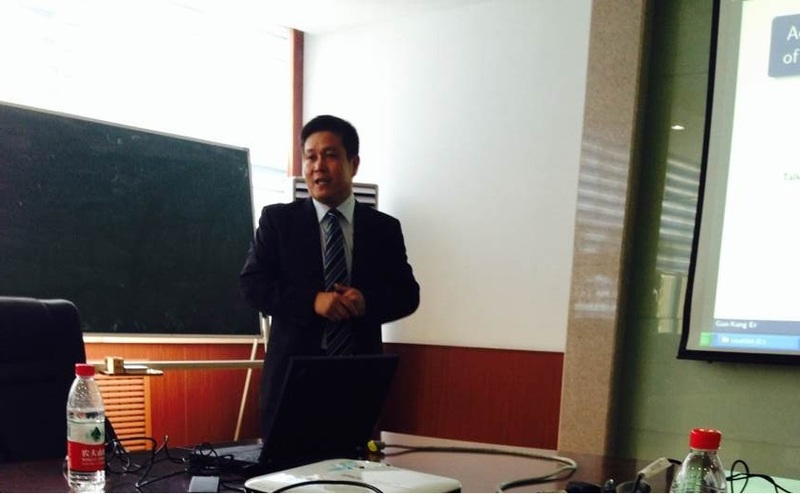 Dr. Guo-Kang Er visited ICAM and gave a lecture named “In Advances in analyzing the probabilistic solutions of large nonlinear stochastic dynamical systems” in the Sencond Meeting Room on Friday, August 1st, 2014. Prof. Zishun Liu host the seminar. Post-doc Research Fellow, University of Alberta, Canada. Post-doc Research Fellow, Shanghai University of Technology, China. Ph.D in Engineering, Southwest Jiaotong University, China. M.Sc. in Engineering, Southwest Jiaotong University, China. B.Sc. in Engineering, Zhengzhou Institute of Technology, China.